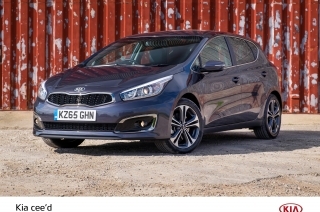 With world-class new powertrains, a sporty new GT-Line trim level and major additions to electronic driver aids and connected car systems, the new version of Kia’s European mid-sized hatchback, cee’d, is ready to build on the strengths which have already attracted more than a million buyers. 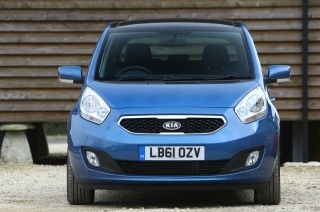 From the outset the cee’d was fundamental to Kia’s policy of creating specific cars in and for the markets where they are sold. 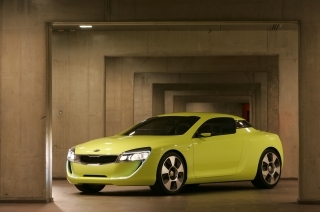 It was the car which gave Kia a manufacturing footprint in Europe, and is designed, engineered and sold exclusively there. 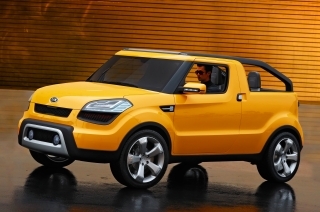 It is still produced only at the Žilina plant in Slovakia. 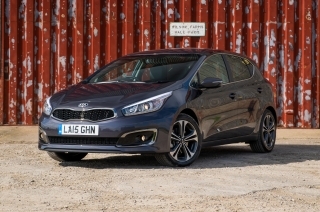 The cee’d was also the first car to be offered with Kia’s industry-leading seven-year, 100,000-mile transferable warranty – a feature now standard on every model from the Korean manufacturer. 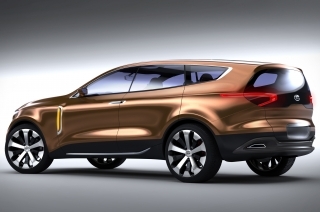 The latest cee’d is even more adapted to the requirements of its European homeland. It introduces new state-of-the-art 1.0-litre three-cylinder ecoTurbo turbocharged petrol engines and a new 1.6-litre CRDi turbodiesel which bring CO2 emissions down to as low as 94g/km. 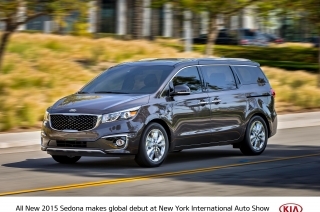 The diesel is the first car to be available with Kia’s new seven-speed dual-clutch (7-DCT) automatic transmission, which offers buyers all the advantages of both a manual and an auto but with far superior fuel economy and emissions. 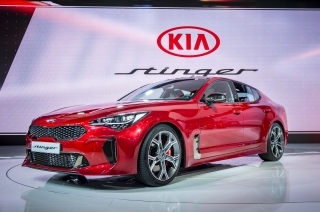 For buyers who enjoy the sharp exterior and interior styling of sports hatchbacks, but want to avoid the higher fuel, taxation and insurance costs of an out-and-out high-performance model, Kia introduces GT-Line, a new styling and trim option. It offers much of what makes the flagship 201bhp cee’d GT stand out, but with lower running costs and more comfort-oriented chassis settings. The advanced driver assistance features available now include Speed Limit Information, Blind Spot Detection and Rear Cross Traffic Alert – just some of the items on an extensive list of systems to reduce the workload of the driver in congested cities, on dark rural roads or in bad weather. 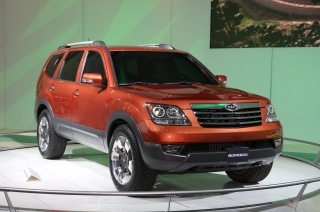 The car’s infotainment and navigation systems have also been upgraded. Finally, although they hardly needed it, the handsome exterior lines and the high-quality cabin have been given a subtle freshen-up. 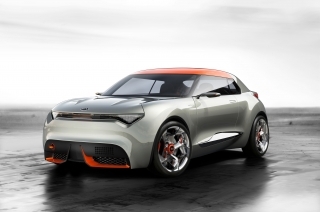 Kia unveiled its new 1.0-litre three-cylinder turbo (ecoTurbo) engines at the 2015 Geneva Motor Show. 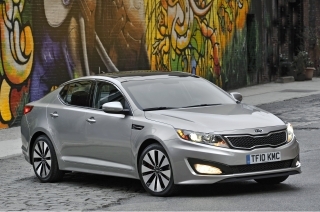 They are destined to be used in a number of models, but make their debut in the cee’d with power outputs of 98 or 118bhp. 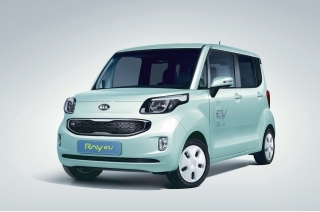 Both are 998cc units developed in-house at Kia’s Namyang research and development facility in Korea, and have been engineered to require 10 to 15 per cent less fuel than the 1.4-litre or 1.6-litre GDi units in other versions of the cee’d, with similar reductions in emissions. 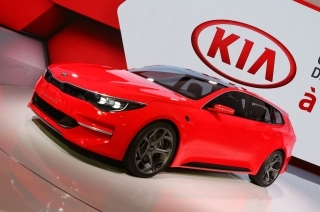 Kia will replace 70 per cent of its internal combustion engines with new, downsized, more fuel-efficient alternatives within the next few years. 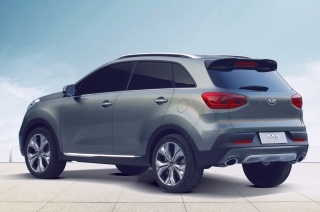 The new cee’d also introduces a new 1.6-litre CRDi turbodiesel engine. This has increased power – up from 126 to 134bhp – with greater torque of 280Nm in manual versions and 300Nm with the new 7-DCT gearbox. CO2 emissions are down by as much as 10g/km in manual versions. However, the greatest gains are seen when the CRDi engine is paired with the 7-DCT gearbox. Compared with the previous model with a conventional six-speed automatic transmission, emissions tumble by almost 25 per cent, from 145g/km to 109. The 7-DCT gearbox was also developed in-house at Namyang and, with a maximum torque capacity of 300Nm, will be used in a wide range of models within the next few years. Fuel economy for manual versions of the new cee’d 1.6 CRDi is up to 78.5mpg, with CO2 emissions as low as 94g/km depending on wheel and tyre size, while all 7-DCT versions have corresponding figures of 67.3 combined mpg and 109g/km. The cee’d continues to be available with a 98bhp 1.4-litre petrol engine and with the 133bhp 1.6-litre direct-injection GDi unit. 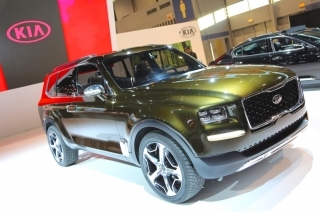 There is also an 89bhp 1.4-litre CRDi diesel. Kia’s ISG (Intelligent Stop & Go) engine stop/start system is standard with all 1.0-litre and 1.6-litre engines. By shutting down the engine when the car comes to rest and the driver puts the gear-lever into neutral and releases the clutch, it ensures that no fuel is used and no CO2 is emitted while stationary in traffic. The engine restarts as soon as the clutch is pressed. The new cee’d introduces a new trim level – GT-Line – which offers buyers most of the styling and trim features of the sporty flagship cee’d GT, but with lower fuel, insurance and taxation costs. 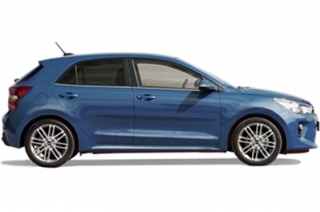 GT-Line is available with the higher-powered 1.0-litre ecoTurbo petrol engine and with the new 1.6-litre CRDi diesel. 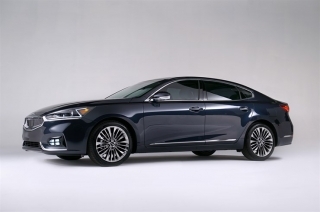 GT-Line models are distinguished by a deep front bumper flanked by ice cube-style LED daytime running lights. 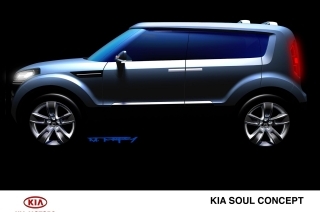 These are housed in black high-gloss panels along with the foglights and daytime running lights. There is a unique black lower grille and a black high-gloss mesh main grille with a graphite chrome surround. 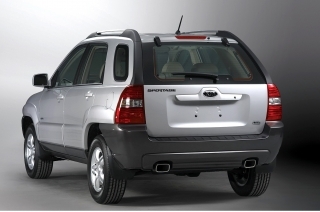 This is complemented by an equally sporty rear bumper with a deeply recessed number-plate housing and dual exhausts. The number plate and rear foglights are encased in high-gloss black panels. The rear lamps are full LED units. 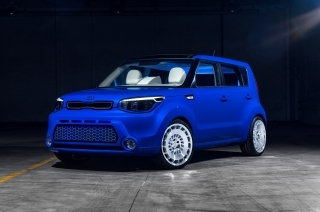 At the sides there are sill extensions and bespoke five-double-spoke 17-inch alloy wheels. There is a ‘GT-Line’ identifier on the rear bodywork. In the cabin, GT-Line models feature black cross-stitch upholstery with grey inserts. 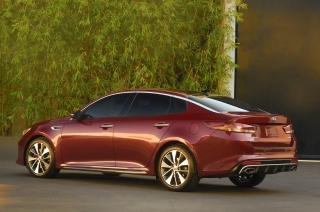 The driver and front passenger seats have power lumbar adjustment. There is a sporty leather steering wheel with a perforated grip, and silver stitching which is replicated on the gear shifter, back door centre trim and seats. There are also alloy pedals with rubber grip inserts and faux black leather door inserts. The navigation centre in the fascia console has a matt black finish and there is a high-gloss black console tray, air vent surrounds and door trims. There are no unique suspension, steering or braking revisions to GT-Line models, but all versions of the cee’d have a modified fully independent suspension system to improve comfort and handling. All-independent suspension has inherent advantages for ride and handling compared with the simple beam rear axle used by many cars in this class. The cee’d now features torque vectoring to minimise understeer in hard cornering by partially braking the inner front wheel. The Motor Driven Power Steering (MDPS) has been retuned to be more linear and predictable in response to steering inputs, while the front wheel geometry has been adapted to improve on-centre feel. Revisions to the suspension improve comfort on poor surfaces by minimising vibrations and the rear anti-roll bar is now hollow rather than solid to reduce the transmission of road noise into the cabin. 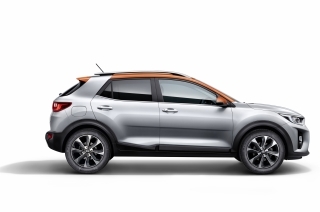 The new cee’d introduces a range of additional driver assistance and connectivity features to the range. 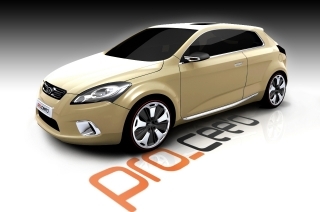 Depending on model, the cee’d is now available with a Speed Limit Information Function to reduce the risk of drivers falling foul of the law. 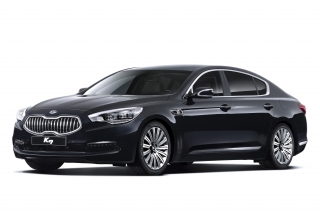 To help reduce accidents, Blind Spot Detection and Rear Cross Traffic Alert add to the already comprehensive passive and active safety systems of the cee’d. Blind Spot Detection gives the driver an extra pair of ‘eyes’ when swapping lanes, while the Rear Cross Traffic Alert prevents the car from being reversed into the path of another vehicle when leaving end-on parking bays. A perpendicular parking function has been added to the Smart Park Assist System which was available in the previous model. 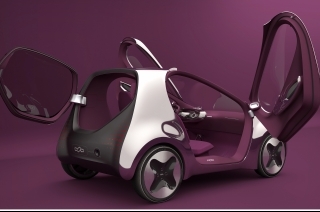 It can steer the cee’d into or out of parallel parking spots and into perpendicular (90)º spaces. 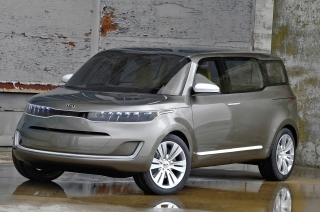 The new model features the highest level of connectivity ever found in a cee’d through the latest Kia Connected Services featuring TomTom®. Via the stylish, modern-looking 7-inch central touchscreen, drivers gain access to European mapping, a Traffic Messaging Channel, full UK postcode entry and the choice of fast, short or economical route-planning, while TomTom Connected services provide additional and valuable driver information, including speed camera locations, live traffic updates and local search and weather details. The 7-inch touchscreen is linked to a colour reversing camera. A DAB radio with MP3 compatibility becomes standard on every cee’d. 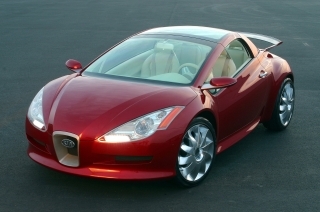 The cee’d name was first heard at the 2006 Paris Motor Show, coinciding with the arrival of Peter Schreyer as Chief Design Officer. The second-generation model, created entirely under his watchful gaze by a team led by European design chief Gregory Guillaume, appeared a little under six years later at the Geneva Show, and is still so fresh and appealing that only minor modifications have been made to add a touch more sportiness and perceived quality to the mix. 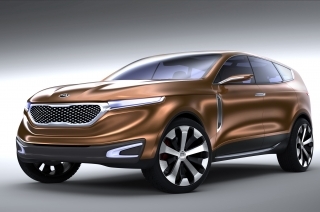 Kia hallmarks like the ‘tiger-nose’ front grille, sleek profile and wrap-around headlights remain largely untouched except for a new oval-shaped grille mesh. This has a chrome surround on the two lower-series models and a graphite chrome surround on all others. All versions except GT have a newly designed front bumper which is now common to all three cee’d body styles. 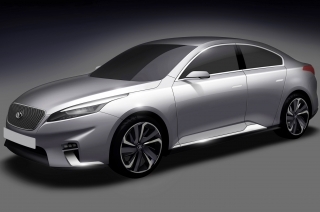 It includes a horizontal lower section which links the front foglamp/daytime running lamp surround and a flatter grille, emphasising the wide stance of the car and presenting a sportier look. The foglight housing is in either matt or high-gloss black, depending on model, with matt black or chrome edging. 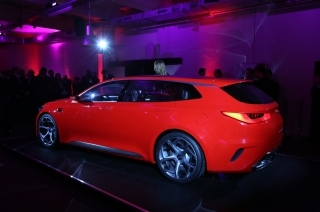 There is also a revised rear bumper with more voluminous reflectors housed in high-gloss black panels (except the base model) and LED lamp clusters for the majority of models. There are also stylish new 16- and 17-inch alloy wheels for all except grade 1, and new 18-inch for the GT. The spacious and handsome interior of the cee’d has received only small detail touches, mainly to add an extra veneer of quality or to accommodate the new driver assistance and connectivity systems, such as the revised 7-inch touchscreen and turn-by-turn instructions which now appear in the instrument panel. 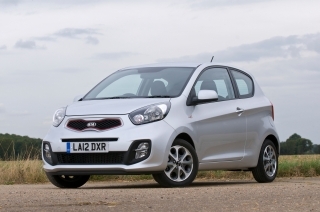 Kia offers an 18-model cee’d range in the UK (excluding GT), but with significant revisions to take into account the new engines, transmission and GT-Line trim option. The line-up has been carefully selected to reflect changes in buying patterns, with an increasing number of customers now opting for higher trim grades. The entry points to the range are grades ‘1’ and ‘SR7’, both of which are available with the 1.4-litre petrol and diesel engines. 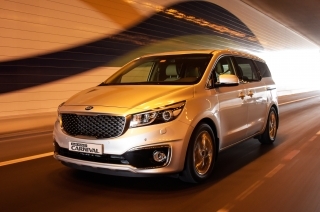 Grade 1 is also available with the uprated 1.6-litre CRDi turbodiesel as a low-cost offering for budget-conscious fleet operators. 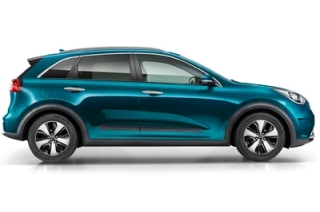 Grade ‘2’ gives buyers the option of the 1.6-litre GDi direct-injection petrol engine, the lesser-powered 1.0-litre ecoTurbo petrol engine or the new 1.6-litre CRDi in either manual or 7-DCT form. 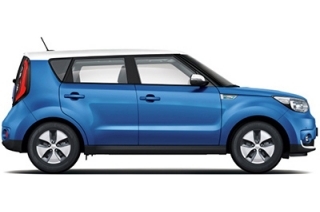 Grade ‘3’ comes with the higher-powered ecoTurbo engine and manual or automatic 1.6-litre CRDi powertrains. 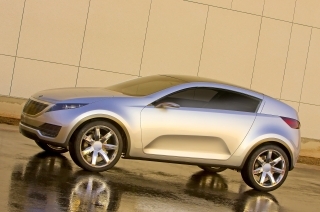 This is replicated by the choice of new GT-Line models. Grade ‘4’ is CRDi only – manual or automatic – while grade ‘4 Tech’ is powered solely by the CRDi engine with manual transmission. All feature a comprehensive list of standard equipment, including electrically adjustable heated door mirrors, tilt and telescopic steering wheel adjustment and a height-adjustable driver’s seat, air conditioning, steering wheel-mounted controls, front electric windows, remote central locking, a cooled glovebox, a flat-folding 60:40 split rear seat, ambient front lighting, an iPod-compatible audio system, a DAB radio, illuminated USB and AUX ports, Bluetooth connectivity, Electronic Stability Control and Vehicle Stability Management, Hill-start Assist Control, six airbags and speed-sensitive auto door locking. ‘SR7’ adds new 16-inch alloy wheels, a leather-trimmed steering wheel and gearshifter, reversing sensors, all-round electric windows with auto up/down function, chrome interior garnish, privacy glass on the rear windows and tailgate and automatic headlight control. 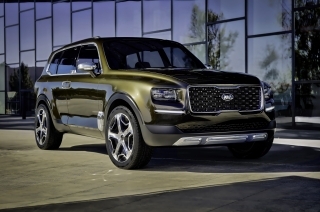 Grade ‘2’ is distinguished by new black Premium cloth seats, chrome front foglight surrounds, a graphite chrome radiator grille, LED daytime running lights, cornering lights and a dual-tone horn. 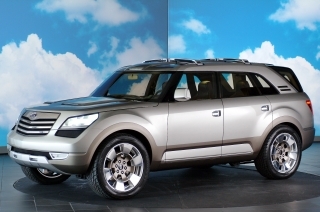 This is on top of LED rear combination lamps, electrically folding and heated door mirrors, chrome window surrounds, a rear centre armrest, cruise control with speed limiter, illuminated vanity mirrors, luggage net hooks and an under-floor box and the Flex Steer function giving three different levels of steering weight and sensitivity. Grade ‘3’ has different 16-inch alloy wheels and the 7-inch touchscreen with TomTom® Connected services and a reversing camera, rain-sensing front wipers with de-icing elements, dual-zone automatic air conditioning with two-step airflow control, black seat upholstery with contrasting mesh inserts, powered lumbar support adjustment for the driver and front passenger, faux leather door trims, a black high-gloss fascia and an auto-dimming rear-view mirror. 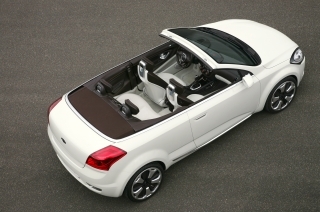 Grade ‘4’ introduces 17-inch alloys, exterior illumination on the front door handles, black leather front and rear seats with contrasting grey inserts, a heated steering wheel and front seats, an electronic parking brake, the Smart Entry System with illuminated aluminium engine start/stop button, a premium centre console with sliding cover and cupholders, a speed and multifunction LCD high-definition colour display and stainless steel pedals and scuff plates, while the grade ‘4 Tech’ is distinguished by the new Smart Park Assist System, Blind Spot Detection and Rear Cross Traffic Alert, Lane Departure Warning and Speed Limit function plus a panoramic sunroof, 10-way power-adjustable driver’s seat with memory, xenon adaptive lighting system with automatic levelling, front headlamp washers and front and rear parking sensors. And now there is GT-Line, with the GT-Line exterior styling pack of graphite chrome grille surround with black high-gloss mesh, a black lower grille, side sill mouldings, a dual exhaust, black high-gloss LED light housing and number-plate surround, ice-cube LED daytime running lights, black high-gloss foglight housings and rear ‘GT-Line’ badge. The GT-Line interior pack supplements this with black headlining and black cross-stitch upholstery with silver stitching, which also features on the steering wheel, gearshifter, door trim and seats. There is a leather steering wheel with perforated inserts and a black centre fascia and high-gloss black centre tray, air-vent surrounds and door trim. 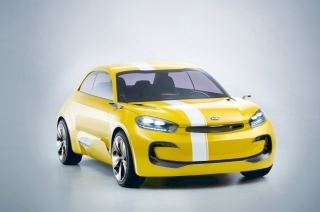 The cee’d was designed and engineered at Kia’s Frankfurt design studios and technical centre and is made at the company’s Žilina plant in Slovakia. 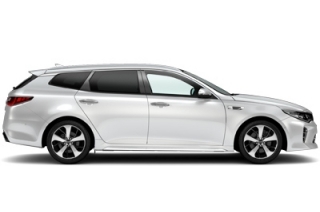 It comes with a seven-year, 100,000-mile warranty and is available with ‘Kia Care’ service plans, which have been developed to provide customers with a wide range of service plan options for any Kia model within the first seven years of the vehicle’s life – matching its industry-leading seven-year warranty. 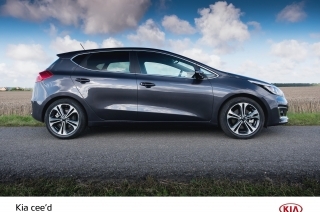 A sporty new GT-Line trim package headlines the changes to the styling of the new cee’d. Elsewhere, there have been detail modifications to give the cee’d a more modern look and emphasise its quality – perceived and actual – but wholesale change was deemed neither desirable nor necessary. 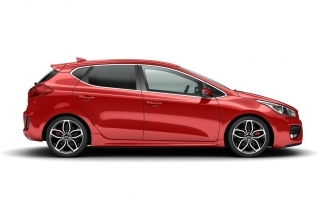 GT-Line was revealed at the 2015 Geneva Motor Show and brings most of the styling and trim features of the sporty flagship, the cee’d GT, but with lower fuel, insurance and taxation costs. 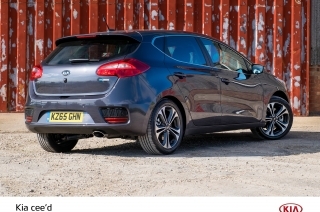 GT-Line is available with the higher-powered 1.0-litre ecoTurbo petrol engine and with the new 1.6-litre CRDi diesel. 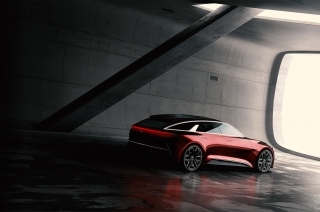 The current cee’d was revealed in 2012 and was created under the watchful gaze of President and Chief Design Officer Peter Schreyer by a team led by European design chief Gregory Guillaume. 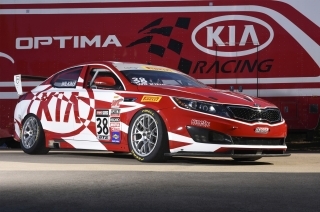 It is still so fresh and appealing that only minor modifications have been made to the car for 2016. 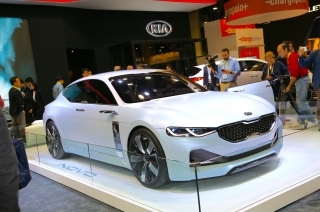 Kia hallmarks like the ‘tiger-nose’ front grille, sleek profile and wrap-around headlights remain largely untouched except for a new oval-shaped grille mesh. This has a chrome surround on the two lower-series versions and a graphite chrome surround on all others. All models except GT-Line have a newly designed front bumper which is now common to all three cee’d body styles. 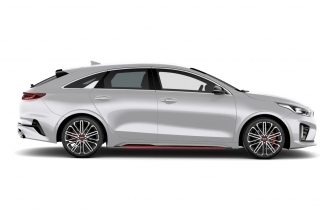 It includes a horizontal lower section which links the front foglamp/daytime running lamp surround and a flatter grille, emphasising the wide stance of the car and presenting a sportier look. The foglight housing is in either matt or high-gloss black, depending on model, with matt black or chrome edging. There is also a revised rear bumper with more voluminous reflectors housed in high-gloss black panels (GT line only) and LED lamp clusters for the majority of models. 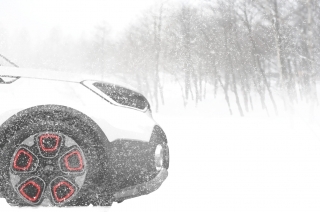 There are also stylish new 16- and 17-inch alloy wheel designs for all except grade ‘1’. 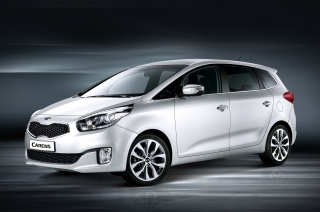 The cee’d is fundamental to Kia’s policy of creating specific cars in and for the markets where they are sold, and was designed and engineered in Europe and is manufactured and sold exclusively there. From the outset it was imperative that the car was seen as European – not just in its styling and ride and handling, or through the availability of state-of-the-art diesel engines, but also in the hundreds of small details which separate European preferences from those in other parts of the world. Haptics – how things feel and move – and ergonomics, the placement of controls and inter-relation between them, were of paramount importance and played a large part in the design. Europeans like handwheel-type seat adjusters because they offer a fine degree of backrest angle variation, and they prefer the indicator stalk on the left of the steering column rather than the right. 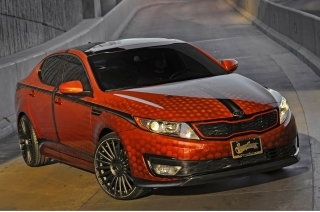 The cee’d designers took note of this. In Europe, quality is also as much about how things feel and look as it is about durability, so the cee’d also addresses these issues. In many ways the cee’d is more European than its European competitors. No stone has been left unturned. One seemingly insignificant detail is the fuel-filler flap. In the Far East and America, buyers like a separate release lever inside the car, while Europeans prefer the filler flap to be linked to the central locking system so that it can be opened with just a push – so that’s what you will find. The wheelbase is one of the longest in class at 2,650mm, while the wide front and rear tracks give the car a sporty stance which, along with the revised suspension geometry, contributes towards the car’s high-speed stability and cornering prowess. 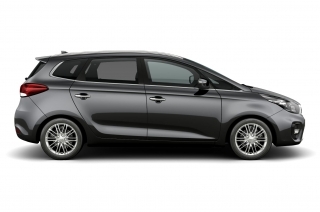 The athletic appearance of the cee’d is further emphasised by wheels of up to 17-inches in diameter, 18-inch on GT, tightly encased by the stylish bodywork. 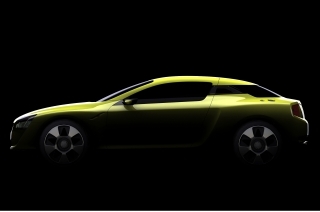 With its steeply angled A-pillars, low belt line and emphatic glasshouse, the new cee’d has something of a coupé-like profile. The cab-forward design and a rakish, coupé-like roofline are not at the expense of passenger space, while the large rear overhang means the cee’d offers equally good luggage space of 380 litres, or 362 litres with the standard temporary spare wheel in place. The boot is long and wide, with a wide opening. The co-efficient of drag is 0.30. 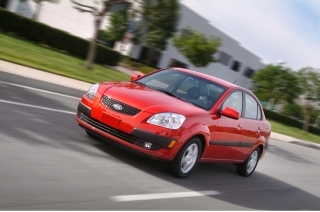 Even a tiny improvement in Cd brings measurable benefits in fuel economy. 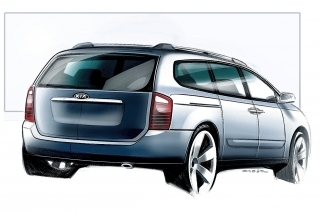 Kia aerodynamicists spent more than 100 hours in the wind tunnel at the company’s research and development centre at Namyang, South Korea, honing details like the shape of the rear spoiler and engine cover, the vertical edge on the rear lamps and the centre cover beneath the floor to effect an improvement in the car’s Cd. 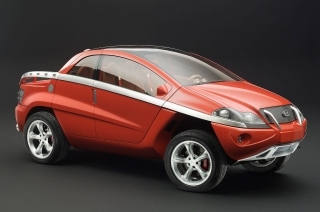 One particularly pleasing aspect for Schreyer is that the production car so closely resembles the first clay model. 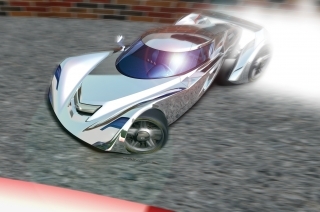 This is rarely achieved, as the conflicts of design, engineering, safety and aerodynamics can influence a car’s shape, and even millimetric alterations can change the way the finished product appears. Quality is actual as well as perceived. The tight shutlines would not look out of place on a premium car, while most versions have an elegant chromed window surround. First impressions are matched when stepping into the cabin. The classy key fob with metallised inserts is merely a foretaste of what is to come. Soft-touch surfaces, high-quality materials, damped sun visors, lidded storage areas, ambient lighting, tactile door grab handles and precise panel gaps combine to give the interior a solid, mature, made-from-a-mould feel. This is matched by the refinement of the car, which starts with its excellent torsional stiffness. Everything which could contribute to this was done – even the windscreen is bonded in rather than mounted in a seal, which means that it also shuts out more exterior noise. 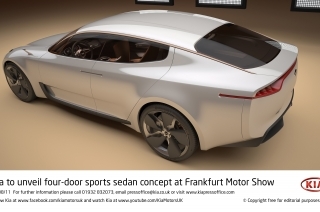 The design of the weather strips around the door frames, the filling in the pillar areas, the shape of the door mirrors and the thick front door glass all play a part. Even the sealing strips on the door sills make it more difficult for noise to enter the cabin. 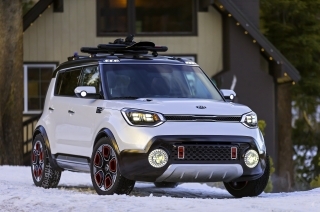 In the new model there are new stoppers on the rear strut mount insulators and a new outer ball joint on the rear anti-roll bar to minimise suspension vibrations, and the rear anti-roll bar is hollow rather than solid to reduce the transmission of road noise. The driver-centric dashboard layout features intuitive controls clearly grouped, with superb attention to detail. 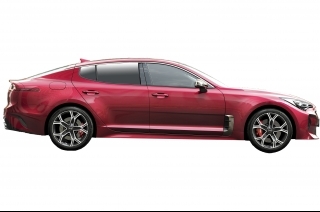 Kia’s familiar three-dial sporty instrument layout is enhanced by a speed and multifunction LCD high-definition colour display on grade ‘4’, ‘ 4 Tech’ and GT-Line versions, while grade ‘3’ and above have a satellite navigation system with 7-inch touchscreen and built-in reversing camera. The seats offer excellent all-round support and have 10-way power-adjustment and memory on the driver’s side in the ‘4 Tech’. Fin-style door grab handles, an asymmetric centre console surround framing a deep storage area, bright chrome highlights in the majority of models, soft-touch surfaces and padded door trims and storage boxes all attest to the attention to detail and quality. The entry points to the range are grades ‘1’ and ‘SR7’, both of which are available with the 1.4-litre petrol and diesel engines. Grade ‘1’ is also available with the uprated 1.6-litre CRDi turbodiesel unit as a low-cost offering for budget-conscious fleet operators. 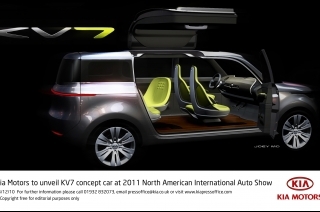 ‘SR7’ adds new 16-inch alloy wheels in place of 15-inch steel rims, a leather-rimmed steering wheel and gearshifter, reversing sensors, all-round electric windows with auto up/down function, chrome interior garnish, privacy glass on the rear windows and tailgate and automatic headlight control. 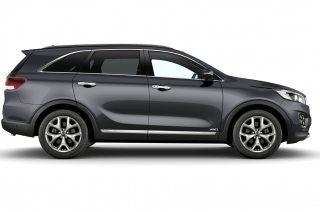 Grade ‘2’ is distinguished by new black Premium cloth seats, chrome front foglight surrounds, a graphite chrome radiator grille, LED daytime running lights, cornering lights and a dual-tone horn. 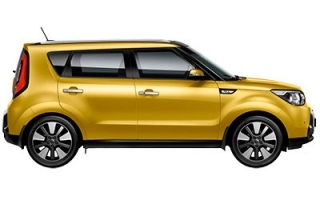 This is on top of LED rear combination lamps, electrically folding and heated door mirrors, chrome window surrounds, a rear centre armrest, cruise control with speed limiter, illuminated vanity mirrors, luggage net hooks and an under-floor box and the Flex Steer function giving three different levels of steering weight and sensitivity. Grade ‘4’ introduces 17-inch alloys, exterior illumination on the front door handles, black leather front seats with contrasting grey inserts, a heated steering wheel and front seats, an electronic parking brake, the Smart Entry System with illuminated aluminium engine start/stop button, a premium centre console with sliding cover and cupholders, a speed and multifunction LCD high-definition colour display and stainless steel pedals and scuff plates, while the cee’d 4 Tech is distinguished by the new Smart Park Assist System, Blind Spot Detection and Rear Cross Traffic Alert, Lane Departure Warning and Speed Limit function plus a panoramic sunroof, 10-way power-adjustable driver’s seat with memory, xenon adaptive lighting system with automatic levelling, front headlamp washers and front and rear parking sensors. 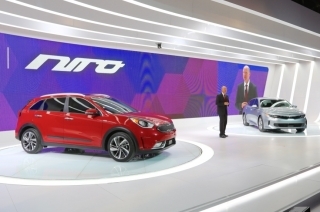 The new cee’d introduces three new engines and a new seven-speed double-clutch automatic transmission (7-DCT), all designed specifically to meet the requirements of European motorists, many of whom have to contend with CO2-based taxation structures. All three new engines deliver exceptional torque at low revs, improving the driveability of the cee’d in the conditions faced by Europeans. The cee’d is now available with 5 engines (excluding the high-performance GT), all of which meet EU6 emissions regulations. 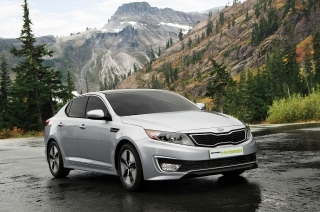 These state-of-the-art power units deliver fuel economy of up to 78.5mpg with CO2 emissions as low as 94g/km. 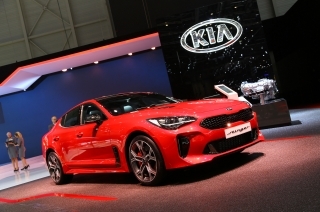 At the 2015 Geneva Motor Show Kia introduced its new 1.0-litre three-cylinder direct-injection turbocharged petrol engines (ecoTurbo), the first of an entire new family of world-class power units designed to meet the company’s stringent internal targets for reducing fuel consumption and emissions. 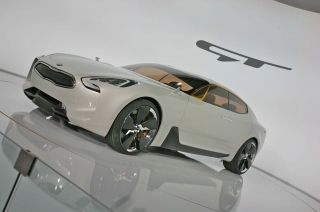 Kia intends to downsize 70 per cent of its internal combustion engines in the next few years while introducing new models which embrace every form of alternative powertrain – hybrid, plug-in hybrid, battery-electric as in the Soul EV and even hydrogen fuel cell. 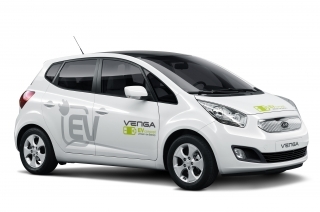 However, in many countries it will be some years before the infrastructure is mature enough to support widespread use of alternative power systems, so for now the emphasis will be on minimising the impact of combustion engines. This is where the new 1.0-litre ecoTurbo unit and the new 1.6-litre CRDi diesel have a significant role to play. 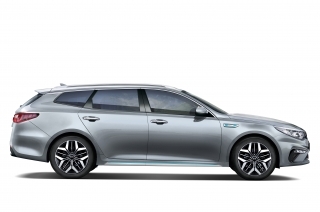 They are available alongside 1.4- and 1.6-litre petrol units from Kia’s Gamma family and a 1.4-litre CRDi turbodiesel from the European-designed and European-made U2 range. 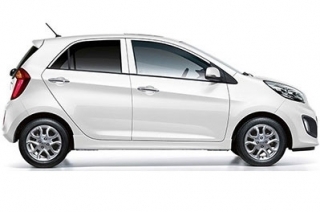 The 1.6-litre Gamma engine features direct petrol injection (GDi). 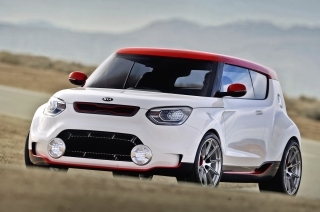 There are two versions of the new ecoTurbo engine, delivering 98bhp at 4,500rpm or 118bhp at 6,000rpm. In both cases there is a maximum 171Nm of torque available from 1,500rpm to 4,000rpm, ensuring outstanding driving flexibility. 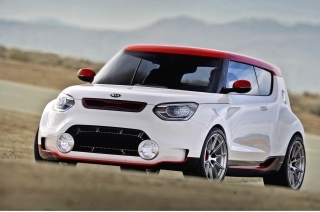 The ecoTurbo units are members of the Kappa family and were developed in-house at Kia’s Namyang research and development facility in Korea. 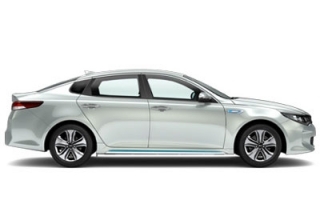 They require 10 to 15 per cent less fuel than the 1.6-litre GDi, with similar reductions in emissions. Both versions of the ecoTurbo engine has a fuel economy figure of 57.6mpg, while CO2 emissions are 113g/km with the lesser-powered version and 115g/km with the 118bhp unit. Acceleration from 0-60mph takes 12.3 and 10.7 seconds respectively, while the top speeds are 114 and 118mph. The third new engine is the latest 1.6-litre CRDi turbodiesel unit which, like its 1.4-litre counterpart, is a member of the U2 family. It features a new high-pressure injection system and a continuously controlled variable oil pump to reduce friction losses. Power rises from 126bhp to 134bhp, while the maximum torque is now 280Nm rather than 265Nm with the manual gearbox, and is available at 1,500rpm instead of 1,900rpm previously. In 7-DCT versions maximum torque is 300Nm, available from 1,750 to 2,500rpm. The improvements in power, torque and driveability mean that all manual versions of the cee’d 1.6 CRDi can accelerate from 0-60mph in less than 10 seconds, while the top speed is 117mph (grades 1 to 3) and 122mph (grades 4, 4 Tech and GT-Line). 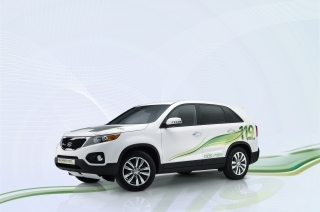 Fuel economy is as high as 78.5mpg, depending on wheel and tyre combination, while CO2 emissions are between 94 and 102g/km. With the new 7-DCT automatic gearbox there are spectacular improvements in economy and emissions compared with the previous model with a conventional six-speed automatic transmission. 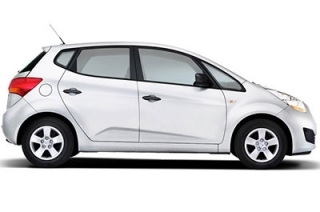 Emissions tumble by almost 25 per cent, from 145g/km to 109g/km, while fuel economy is 67.3mpg (all versions). 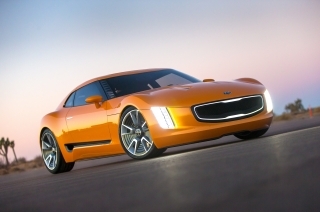 Acceleration from 0-60mph takes 10.2 seconds, while the top speed is 124mph. The U2 CRDi turbodiesel engine is a 16-valve double overhead camshaft unit with a cast-iron block and bedplate and an aluminium oil pan. The 1.4-litre unit has a wastegate turbocharger while the 1.6 features a variable geometry turbocharger, which adjusts the flow of exhaust gases by altering the angle of the turbo vanes according to engine requirements to raise performance while reducing fuel consumption and emissions. The 1.6 also has variable swirl control. This increases swirl at low-to-mid loads to reduce emissions and decreases it at high loads to maximise power. The 1.4-litre CRDi engine develops 89bhp at 4,000rpm and an improved 240Nm of torque – up from 220Nm – between 1,500 and 2,500rpm. 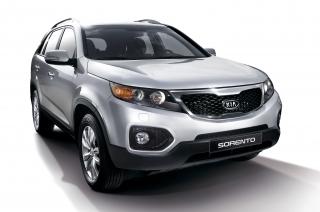 This is sufficient to ensure sprightly performance with excellent driveability through a six-speed manual gearbox. 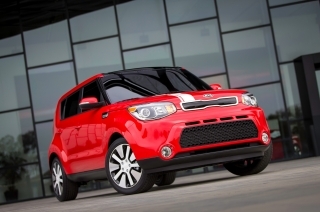 The 0-60mph dash takes 13.0 seconds and the top speed is 107mph. 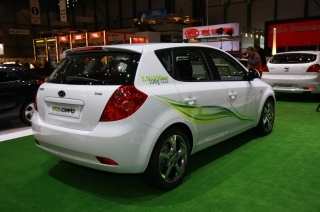 Fuel economy is 67.3mpg, while CO2 emissions are 109g/km. Both diesels feature additional noise-insulating material under the bonnet and in the cabin for greater refinement and reduced noise, vibration and harshness (NVH). Additional sound-absorbing materials have been adopted for the carpet and ventilation system; twice as much anti-vibration foam has been added to the dashboard panel; and sound-absorbing material is now fitted to the engine block, oil pan and diesel particulate filter. 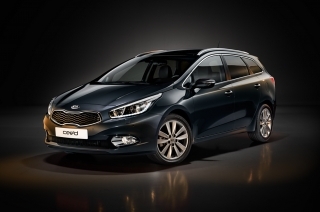 The cee’d continues to be available with the 1.6-litre direct-injection (GDi) and multi-point-injection 1.4-litre engines. Both are 16-valve units with twin overhead camshafts. Continuously variable valve timing on both the inlet and exhaust camshafts ensures high torque at low engine revs for good driveability in European cities, and excellent power for the fast motorway speeds common in Europe. They feature an offset crankshaft to optimise fuel economy by reducing friction losses and improve the speed reduction of the pistons around the expansion stroke. 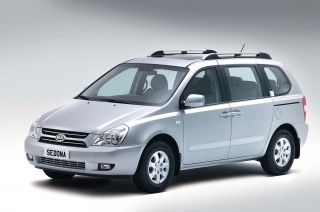 Both have a strong aluminium ladder frame to improve rigidity and reduce NVH. 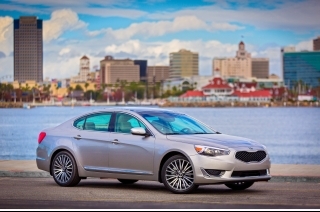 With a compression ratio of 11.0:1, electronic throttle control and piston heads shaped to ensure the directly injected fuel converges around the spark plug, the 1.6 GDi delivers an outstanding combination of performance, fuel economy and emissions control. Fuel is delivered at a pressure of up to 150 bar through six-hole injectors in a fuel rail fixed directly to the cylinder head at four points. A high-pressure sensor controls the fuel-flow rate and feedback through pressure changes in the fuel rail. 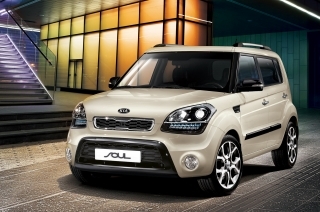 The GDi engine develops 133bhp at 6,300rpm and 164Nm of torque peaking at 4,850rpm. 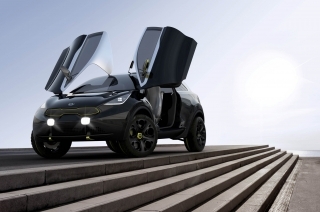 It can accelerate the cee’d to 60mph from a standing start in 9.8 seconds and on to a top speed of 118mph. 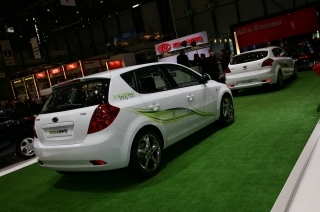 CO2 emissions are 124g/km, while fuel economy is 52.3mpg. 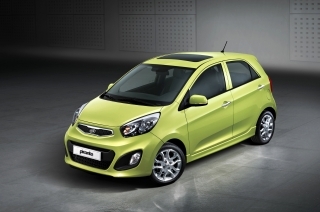 The 1.4-litre Gamma engine develops 98bhp at 6,000rpm and 134Nm of torque at 4,000rpm. 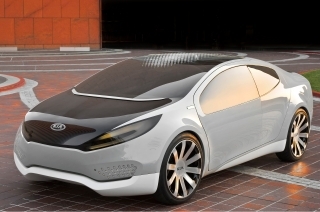 The 0-60mph acceleration time is 12.3 seconds and the top speed is 114mph, while CO2 emissions are 138g/km and fuel economy is 47.1mpg. 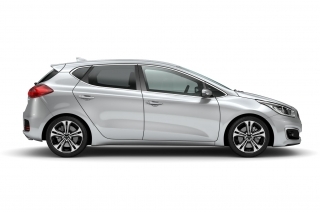 All versions of the new cee’d feature Kia’s EcoDynamics fuel-saving, CO2-reducing technologies, while Kia’s ISG (Intelligent Stop & Go) engine stop/start system is standard with all 1.0-litre and 1.6-litre engines. By shutting down the engine when the car comes to rest and the driver puts the gearlever into neutral and releases the clutch, it ensures that no fuel is used and no CO2 is emitted while stationary in traffic. The engine restarts as soon as the clutch is pressed. All the driver has to do is stop, put the car into neutral and release the clutch pedal. After a brief pause, the engine cuts out. It restarts as soon as the driver engages the clutch again. The system has been engineered not to stop the engine during warm-up from a cold start or if the air conditioning system is working hard. Drivers can also manually turn off the ISG system through a switch on the dashboard. The new 1.6 T-GDi engines are not the only advanced efficiency-enhancing technical features to debut in the new cee’d. 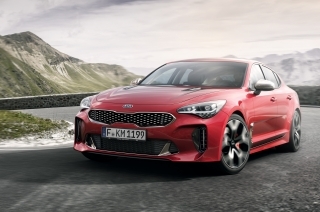 It also gets first use of Kia’s new seven-speed dual-clutch (7-DCT) automatic transmission in conjunction with the 1.6-litre CRDi engine in grades ‘2’, ‘3’, ‘4’ and GT-Line. Like the 1.6 T-GDi engines, this was developed in-house with the aim of enhancing fuel efficiency while delivering the comfort and smoothness of a torque converter transmission in automatic mode with the sportiness of a manual when the driver chooses to take control of gear changes. It has a maximum torque capacity of 300Nm – higher than the previous six-speed automatic – while delivering faster changes and lower running costs. 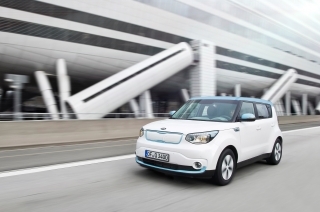 Emissions tumble by almost 25 per cent, from 145g/km to 109g/km, while fuel economy is 67.3mpg. 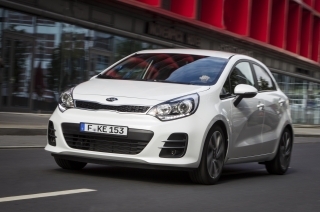 The manual gearboxes in the cee’d are six-speed units with a wide spread of ratios and long final drives to help bring down fuel consumption and CO2 emissions. They are light and compact with a short, slick shift. 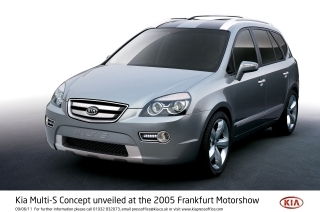 From the outset Kia demanded that the cee’d should not only look and feel European but should also behave European. That is why it has the comparative rarity in its class of an expensive fully independent rear suspension system in place of the more commonly used and cheaper twist beam, and a wheelbase that is one of the longest in class. Motor Driven Power Steering (MDPS) provides the right degree of assistance and weighting while reducing fuel consumption by around 3 per cent. 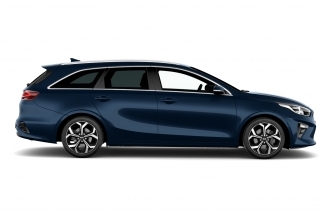 And powerful all-disc brakes – with anti-lock (ABS), electronic brake force distribution (EBD) and Brake Assist (BAS) – bring the cee’d to a stable and sure halt in the shortest possible distance. 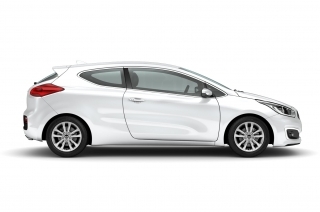 All versions of the new cee’d have a modified fully independent suspension system to improve comfort and handling and now feature torque vectoring to minimise understeer in hard cornering by partially braking the inner front wheel. The car’s Motor Driven Power Steering (MDPS) has been retuned to be more linear and predictable in response to steering inputs, while the front wheel geometry has been adapted to improve on-centre feel. New stoppers on the rear strut mount insulators and a new outer ball joint on the rear anti-roll bar improve comfort on poor surfaces by minimising suspension vibrations. The rear anti-roll bar is now hollow rather than solid to reduce the transmission of road noise into the cabin. 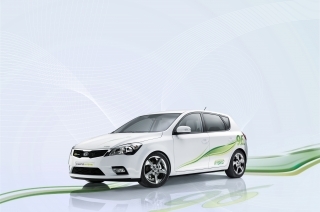 The outcome is that the cee’d has lost none of its agility, but now delivers a more compliant and quieter ride. Grades ‘2’ and above, excluding GT, also have Flex Steer. This allows drivers to personalise the level of assistance provided by the MDPS system at the touch of a button. 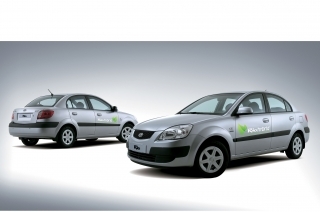 It provides three stages of assistance – Comfort, which is ideal for parking manoeuvres in tight spaces or slow urban driving; Normal, which is the default mode; or Sport, which requires more steering effort and is therefore suited to fast highway driving where maximum stability is demanded. Whichever setting the owner chooses is maintained even after the engine has been switched off so that, for example, if the car is parked in town it will continue to be light and easy to drive upon restart. All-disc brakes, ventilated at the front, are standard and they are backed up by ABS, EBD and BAS. A lot of attention was paid to the software of the ABS system to improve braking feel. An electronic parking brake is standard on grades ‘4’ and ‘4 Tech’. It features an automatic off function when the car pulls away. 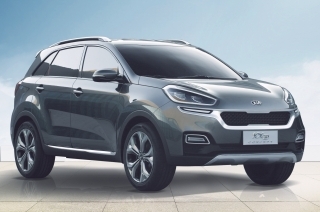 The cee’d is equipped with third-generation ESC and features Vehicle Stability Management (VSM), which communicates with the steering to stabilise the car when it is braking or accelerating on roads with differing levels of grip from left to right. 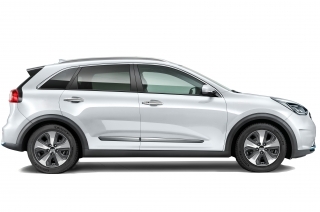 Hill-start Assist Control is standard to ensure the car pulls away smoothly without rolling backwards on steep inclines – this is achieved by momentarily applying the brakes, for two seconds on manual versions and 0.8 seconds on automatic versions. 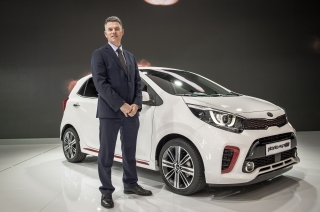 Kia has raised refinement with a series of new measures to counter NVH (noise, vibration and harshness) as part of its review of every single facet of the cee’d. 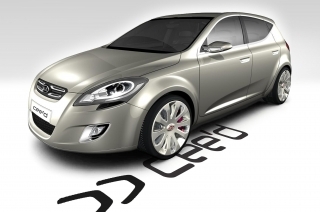 A raft of new driver assistance and connectivity features advances the already comprehensive active and passive safety systems of the cee’d. Depending on model, the new cee’d is now available with Speed Limit Information to reduce the risk of drivers falling foul of the law. 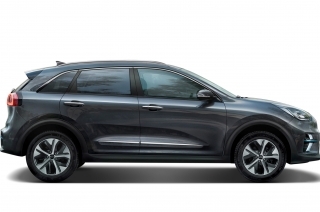 To help reduce accidents, Blind Spot Detection and Rear Cross Traffic Alert add to the already comprehensive passive and active safety systems of the cee’d. Blind Spot Detection gives the driver an extra pair of ‘eyes’ when swapping lanes, while the Rear Cross Traffic Alert alerts the driver if the car is about to be reversed into the path of another vehicle when leaving end-on parking bays. A perpendicular parking function has been added to the Smart Park Assist System which was available in the previous model. 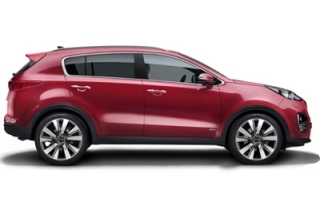 It can steer the cee’d into or out of parallel parking spots and into perpendicular (90)º spaces. 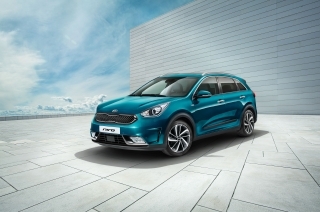 The new model features the highest level of connectivity ever found in a cee’d through the latest Kia Connected Services featuring TomTom®. Via the stylish, modern-looking 7-inch central touchscreen, drivers gain access to European mapping, a Traffic Messaging Channel, full UK postcode entry and the choice of fast, short or economical route-planning to their destination, while TomTom® Connected services provide additional and valuable driver information, including speed camera locations, live traffic updates and local search and weather information. The 7-inch touchscreen is linked to a colour reversing camera. All the essentials for avoiding accidents, or at the very least minimising the effects of them, are standard in the cee’d. There is Electronic Stability Control (ESC) to control skids even before the driver can react, and Vehicle Stability Management (VSM) to keep the car stable when accelerating or braking on roads with different levels of grip from left to right. 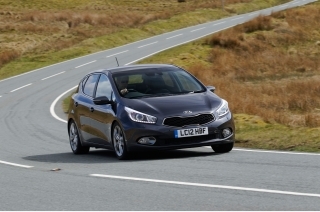 Hill-start Assist Control (HAC) prevents the car from rolling backwards when setting off on steep gradients by holding the brakes for up to two seconds. The ambitious target with the cee’d was not just a five-star Euro-NCAP rating, but a higher score than any class competitor. To achieve that, major advances in body engineering and pedestrian protection were necessary. Every cee’d comes as standard with six airbags –­ twin front, side and side curtains – to provide all-round chest, face and head protection. Seat-belt recognition monitors detect if the belt on an occupied seat is not fastened or is released during a journey. All versions of the cee’d have Emergency Stop Signalling (ESS), which causes the rear brake lamps to flash in an emergency stop to alert following drivers. Brake Assist (BAS), which ensures maximum stopping power in an emergency regardless of the force applied to the pedal by the driver, is also standard. Daytime running lights – LED-type on cee’d 2 and above – are fitted. Grade ‘2’, ‘3’, ‘4’ and GT-Line have static cornering lights which provide a broader beam when steering to ensure quicker recognition of roadside objects at night. They operate through separate lights built into the headlamp units, and activate when the steering angle is more than 35 degrees at speeds of 6mph and above, or 50 degrees when the car is stationary. They switch off if the steering angle falls below 20 degrees. 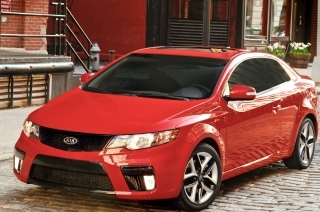 Xenon adaptive front headlights with automatic levelling are standard on the 4 Tech and GT version. These continuously adjust the up/down and left/right angle of the beam according to steering wheel movements and the car’s speed to increase the driver’s range of vision on twisty or bumpy roads at night. Automatic headlight control is standard on grade ‘SR7’ and the grade ‘3’ and above, and all versions have an LED high-level rear stop light, while cee’d 2 and above have LED combination rear lamp clusters. Reversing sensors are standard from grade ‘2’, while grade ‘3’ and above have a colour reversing camera integrated into the navigation screen. ‘4 Tech’ adds to this with the improved Smart Park Assist System (SPAS) now featuring perpendicular parking. At the press of a button this automatically steers the car into spaces while the driver operates the accelerator, brakes and gears. Front, rear and side sensors first decide whether the parking space is large enough for the car and then the system directs it in. A display in the instrument panel allows the driver to monitor progress. The top-of-the-range ‘4 Tech’ model also comes as standard with a Lane Departure Warning System (LDWS) which monitors the position of the car within road lanes, from a camera positioned next to the interior rear view mirror, and warns the driver, via visual and audible alerts, if the vehicle deviates from its lane when the indicators have not been activated. 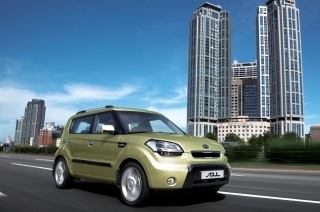 It also has as standard Blind Spot Detection, Rear Cross Traffic Alert and Speed Limit information. Reductions in fuel consumption and emissions do not just benefit society as a whole. They also have a significant bearing on the costs of both fleet and retail customers. The new cee’d address this with three new ultra-efficient engines and a seven-speed dual-clutch (7-DCT) automatic gearbox which replaces the previous six-speed torque converter automatic. 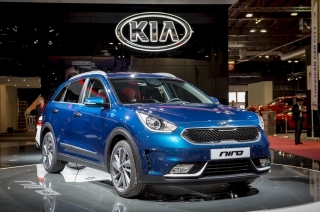 All were developed in-house, either at the Namyang technical centre in Korea or, in the case of the new 1.6-litre CRDi diesel engine, at Kia’s European technology facility in Germany. 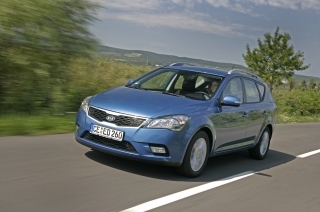 All six engines in the cee’d now meet EU6 emissions standards to help improve air quality. 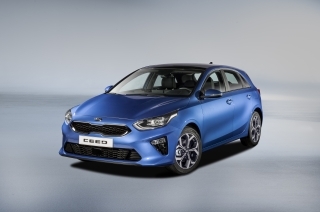 The cee’d range is the first to be available with Kia’s new 1.0-litre three-cylinder direct-injection turbocharged petrol (ecoTurbo) units, delivering either 98 or 118bhp, with 171Nm of torque available across a wide rev band. 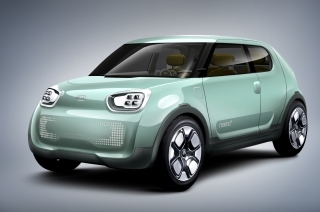 They have been designed to require 10 to 15 per cent less fuel than the 1.6-litre GDi, with similar reductions in emissions. 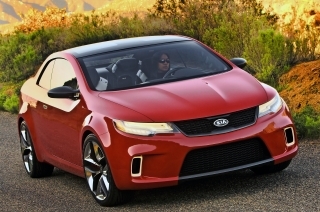 The key targets were instantaneous response, highly efficient combustion and exemplary torque. 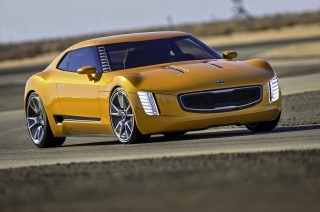 Kia will replace 70 per cent of its combustion engines with downsized units like the new ecoTurbo powertrains in the coming years. The ecoTurbo engines deliver all the performance of larger-capacity normally aspirated units with a much-reduced appetite for fuel and lower emissions, helping to reduce the burden on fleet operators, business users and private individuals through lower operating costs, BiK taxation and less frequent visits to the fuel station. 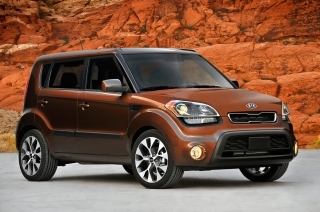 The 1.0 ecoTurbo engines have fuel economy of 57.6mpg with CO2 emissions of 113g/km (98bhp) or 115g/km (118bhp). 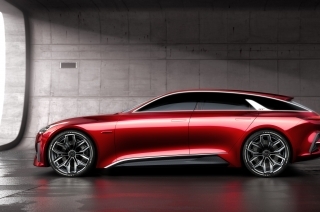 The third new engine is the latest 1.6-litre CRDi turbodiesel unit. It features a new high-pressure injection system and a continuously controlled variable oil pump to reduce friction losses. Power rises from 126bhp to 134bhp, while the increased maximum torque of 280Nm with manual transmission is now available at 1,500rpm instead of 1,900rpm previously. 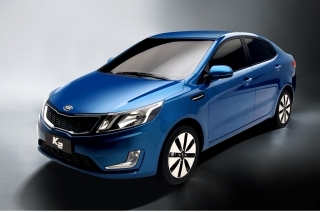 With the 7-DCT gearbox maximum torque is 300Nm from 1,750 to 2,500rpm. The improvements in power, torque and driveability mean that manual versions of the cee’d 1.6 CRDi are capable of fuel economy as high as 78.5mpg, depending on wheel and tyre combination, while CO2 emissions are between 94 and 102g/km. With the new 7-DCT automatic gearbox there are spectacular improvements in economy and emissions compared with the previous model with a conventional six-speed automatic transmission. 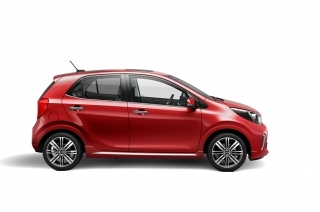 Emissions tumble by almost 25 per cent, from 145g/km to 109g/km, while fuel economy is 67.3mpg (all versions). The cee’d continues to be available with the 1.6-litre direct-injection (GDi) and multi-point-injection 1.4-litre engines, plus a 1.4-litre turbodiesel. 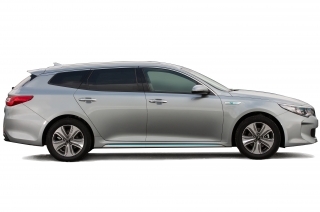 The GDi delivers an outstanding combination of performance, fuel economy and emissions control, with a CO2 figure of 124g/km, and combined consumption of 52.3mpg. The 1.4-litre petrol engine has fuel economy of 47.1mpg, while CO2 emissions are 138g/km. 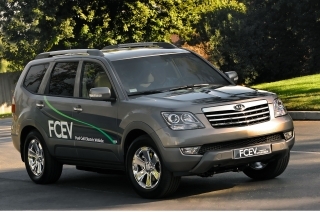 Fuel economy and CO2 figures for the 1.4-litre diesel are 67.3mpg and 109g/km. 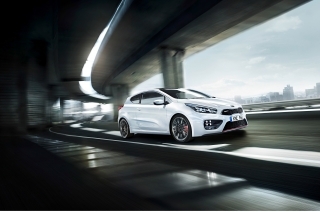 All versions of the new cee’d feature Kia’s EcoDynamics fuel-saving, CO2-reducing technologies, while the ISG (Intelligent Stop & Go) engine stop/start system is standard with all 1.0-litre and 1.6-litre engines. By shutting down the engine when the car comes to rest and the driver puts the gearlever into neutral and releases the clutch, it ensures that no fuel is used and no CO2 is emitted while stationary in traffic. The engine restarts as soon as the clutch is pressed. 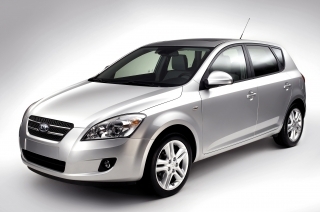 The cee’d has also been designed and engineered to be easy to maintain and repair, reducing servicing costs and insurance. Routine servicing is needed only once a year or every 20,000 miles for both petrol and diesel versions, and one year or every 10,000 miles for both GT and 1.0 ecoTurbo versions. The cee’d is available with ‘Kia Care’ service plans, which have been developed to provide customers with a wide range of service plan options for any Kia model within the first seven years of the vehicle’s life – matching its industry-leading seven-year warranty. 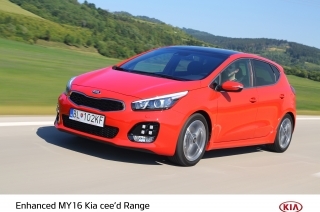 The story of the cee’d will always be inextricably linked with that of Kia’s European manufacturing facility at Žilina in Slovakia. Without the one, there might never have been the other. 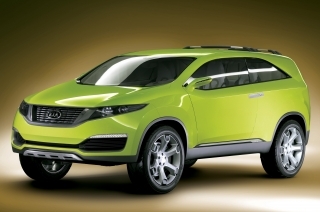 Žilina passed a significant milestone in mid-2015 with the production of the one-millionth cee’d – a five-door GT destined for a Dutch customer. 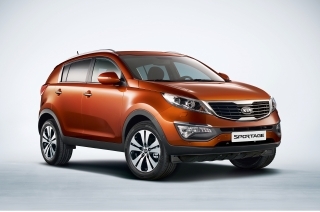 Žilina also manufactures the sporty Sportage crossover and the practical compact Venga. 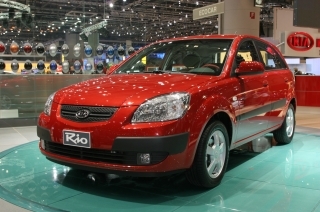 The story of Žilina goes back to the mid-2000s, when Kia established a policy of building cars in and for the markets where they were to be sold, wherever possible. 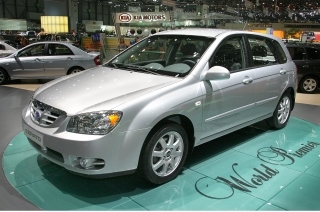 In Europe that meant a hatchback to compete in the most important market segment, the C-segment. 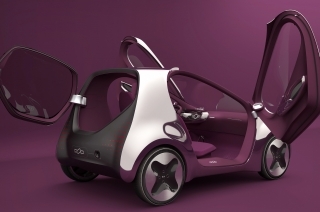 The idea of the car that was to become the cee’d was born, and Žilina was identified as the place where it would be made. Slovakia, which had become a member of the EU in 2004, had a history in engineering, a highly qualified workforce, a well-developed transport infrastructure, an established automotive supply chain and a national government committed to helping new businesses. 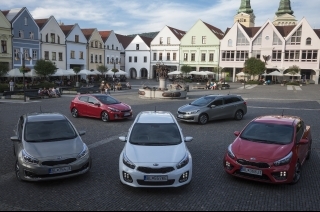 Kia was given tax-breaks and land incentives by the Slovakian government and has in turn worked with the authorities for the benefit of the local community. 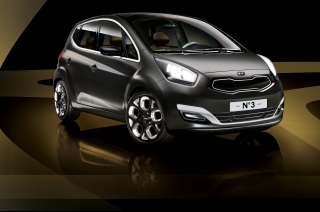 How important is cee’d to Kia in the UK? 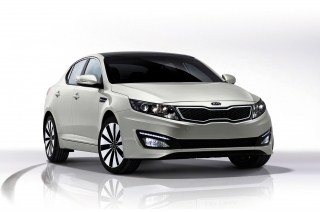 Very – after all, we are one of the leading European markets for Kia, and cee’d competes in the most important sector of the market. As of the beginning of August 2015 we have sold 104,295 versions of the cee’d family in the UK, made up of 62,519 first-generation models and 41,776 of the current car which has been on sale since 2012. Around two-thirds of sales are of the five-door model. 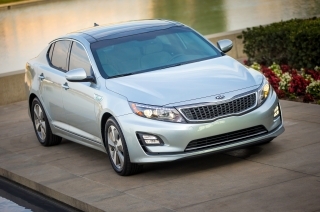 What is the fleet-to-retail sales balance? 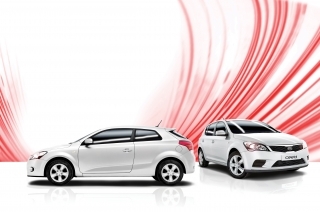 Typically, two out of three cee’d sales are in the fleet sector. 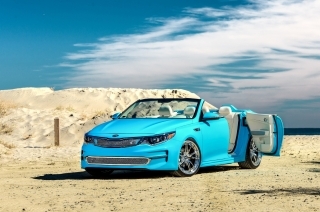 Because it adds to cost, and Kia’s policy is to ensure that buyers are not forced to pay for technology when it will not directly benefit them. 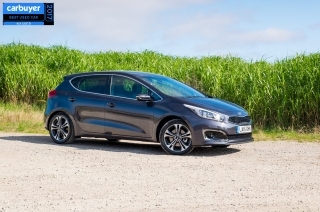 The 1.4-litre petrol and diesel versions of the cee’d are largely bought by retail customers who gain little from the addition of ISG. Other versions are more likely to be bought by fleet users who can make significant savings because of the lower CO2 emissions that ISG helps to bring. 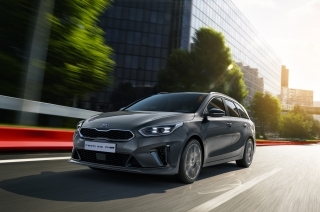 The new 7-DCT transmission has been engineered to take large torque outputs of up to 300Nm, such as those produced by high-power diesel engines, while achieving significantly greater fuel efficiency with 25 per cent lower emissions than with a conventional torque converter automatic. It is therefore entirely logical that it should make its debut mated to the uprated 1.6-litre CRDi engine, which now delivers 300Nm of torque. 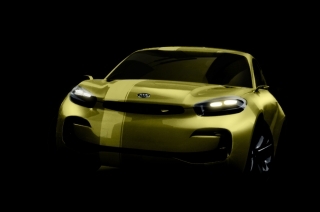 But Kia has said that the 7-DCT is destined for wider application in future, although as yet no details have been announced. 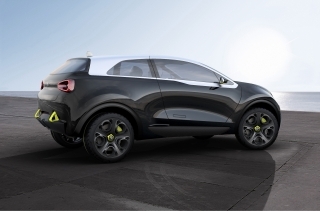 What are your sales ambitions with the new cee’d? Depending on supply from the factory we hope to achieve 13,500 sales in the first year on sale, of which we expect 1,250 to be powered by ecoTurbo engines. 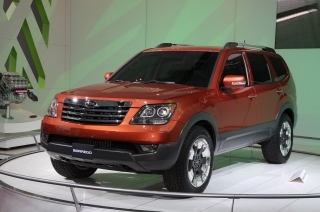 The best-selling model to fleet customers will be the 1.6 CRDi grade 2, while for retail buyers it will be the SR7. 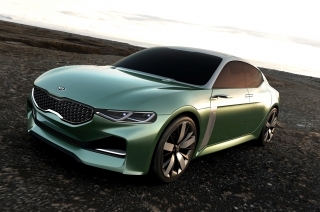 The new Kia Ceed makes its public debut at the 2018 Geneva International Motor Show. 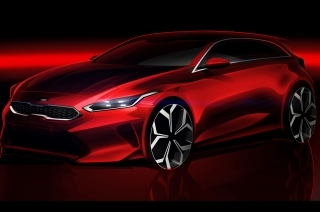 The all-new Kia Ceed will make its public debut at the 2018 Geneva International Motor Show. 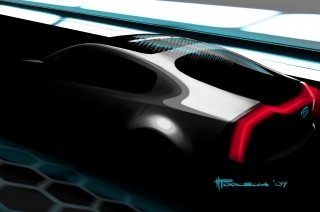 The Ceed five-door hatchback is due to be unveiled in Geneva alongside a second member of the Ceed family. 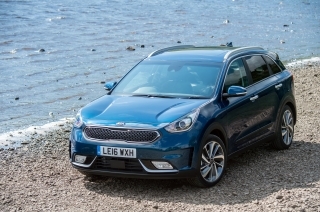 Kia hit new sales heights during 2017, as the UK market suffered a drop, with 93,222 new cars delivered to customers. UK President and Chief Executive Paul Philpott will challenge the brand’s 190 dealers to go even further in 2018 and pass the 95,000 customer mark. 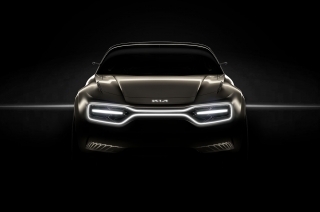 Following a busy period of sales success and important new product launches, Kia Motors (UK) Ltd. has yet more to celebrate as What Car? Magazine announce the winners of their tightly contested and intrinsically judged 2018 Used Car Awards. 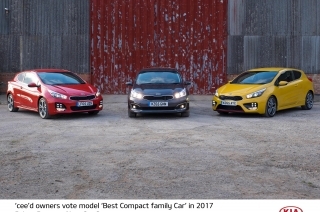 Kia cee’d owners have voted the model as ‘Best Compact Family Car’ in the recent 2017 Driver Power – New Car Survey. 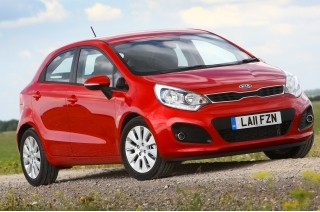 The Kia cee’d has again beaten tough competition to be announced as Carbuyer’s ‘Best Used Car’ in their annual awards.